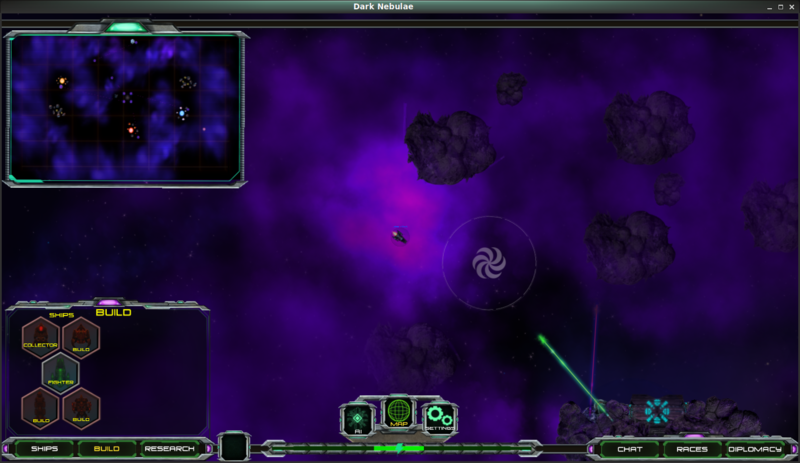 Dark Nebulae Online is an atmospheric blending of classic top-down space combat with modern strategy elements. 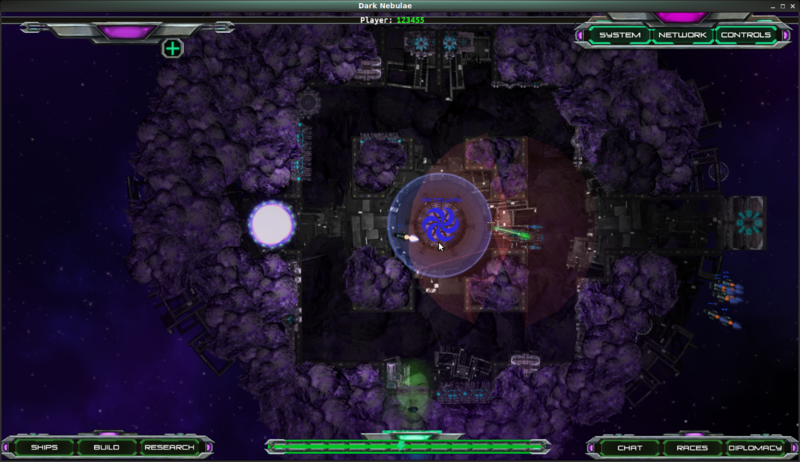 The game is in early alpha and has free open access. Explore: Chart a dark and dangerous region of space with few resources, harsh competition and a malevolent intelligence waiting for its chance to strike. Expand: Build a fleet of AI controlled ships you lead into combat. 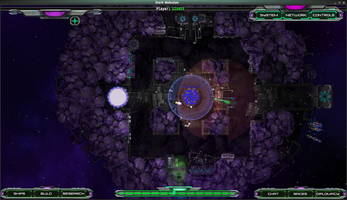 Construct star-bases in deformable asteroids to control territory. Exploit: Carve out asteroids to find rare resources and power your fleet. 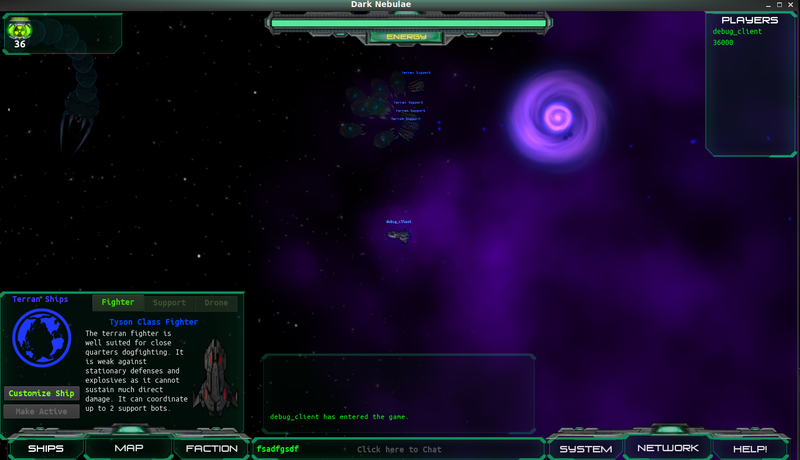 Exterminate: Conquer (or ally with) the other species who are trapped in the Nebulae with you. 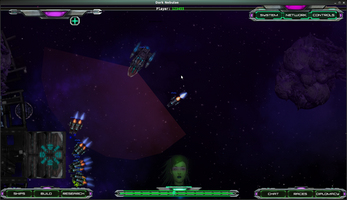 Development is currently focused on refining the core gameplay elements and building solid network code, and many features are not complete. The open source Godot game engine is the core behind this game. and a free server runs the cloud. 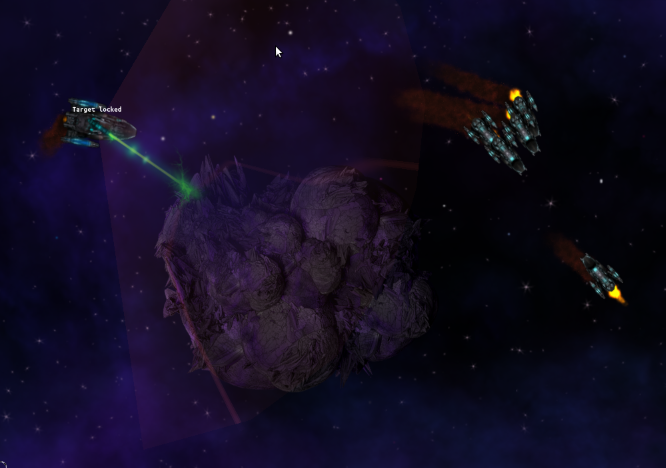 3 player factions and 1 AI faction with unique motherships and fighters. Support for dedicated servers, a free cloud serve. 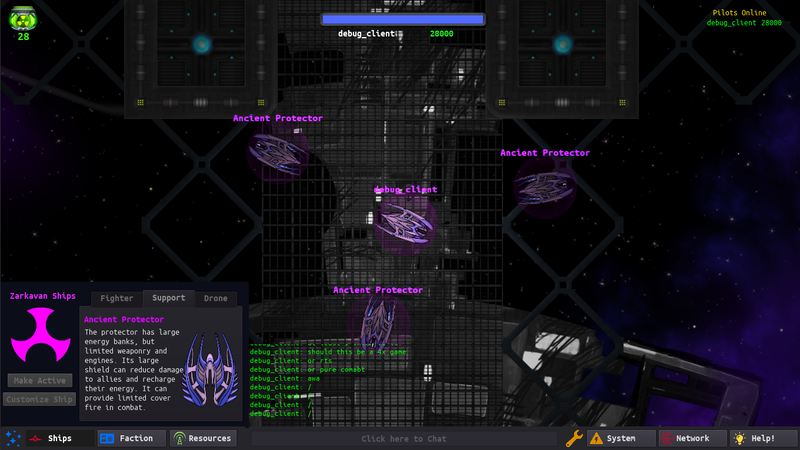 In-game chat, persistent scores, and custom low-latency networking that allows each player to control a real-time fleet. An intelligent hivemind boss that directs an army of minons against you and the other players. 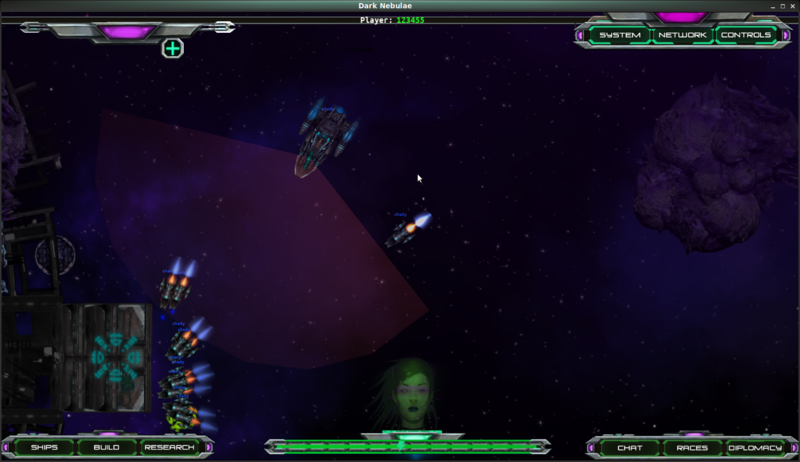 Atmospheric graphics and music with unique 2D lighting and effects. how do i join my friends online.